The best LA restaurants for your next birthday dinner. Just because you’re a student doesn’t mean you can’t properly eat your way through Los Angeles. You just have to know where to do it. The best restaurants for a guys night out in Los Angeles. Perfect For: Big Groups Birthdays Cheap Eats Delivery Eating At The Bar Outdoor/Patio Situation Sports! Let’s face it cowboys, this town ain’t ever gonna be a barbecue town. But that’s OK because, believe it or not, we actually still have some damn good barbecue. 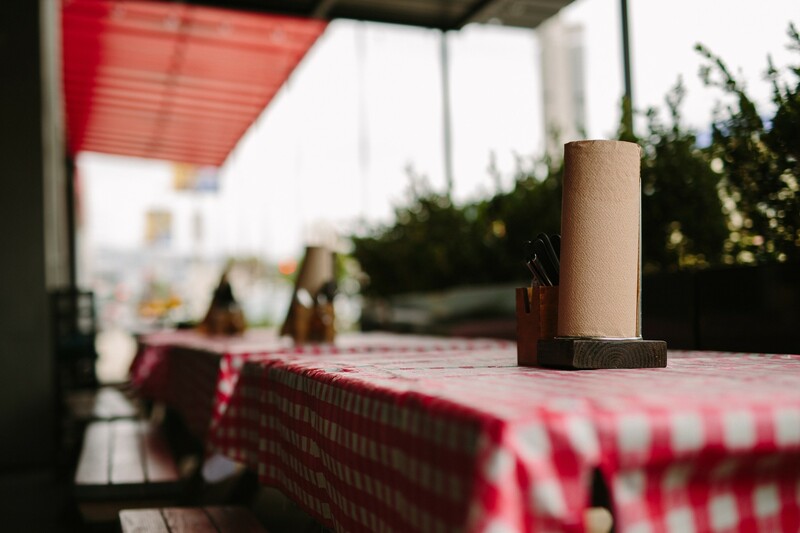 From Venice Beach to Van Nuys, Los Angeles’s local BBQ joints are still kicking out quality meals. For years, Kevin Bludso had been selling what many consider to be the best BBQ in SoCal out of a glorified window in central Compton (RIP). But in 2013, he decided to bring the magic North to some shiny new digs at La Brea and Melrose. Teaming up with the Golden State crew, Bludso created an easy, flexible space perfect for anything from a casual first date to a good ol’ fashioned drunken birthday bash. If you order right, for about $18 you can have enough glistening brisket, pork ribs and potato salad for your entire apartment complex. And in our books, that makes you the most popular person in town. The menu is set up in a way that allows you to order several different things and that’s definitely by design. Because although the brisket is the unspoken favorite, you can’t go wrong with whatever is put down in front of you. Sure, Bludso’s got a big Hollywood makeover but luckily, it didn’t change it. At the end of the day, it’s still about what’s important: that sweet, sweet tray of BBQ. Bludso’s signature meat and it’s for a reason. Charred to perfection, this is the type of thing you wake up in the middle of the night shaking for because you want it so bad. If brisket is king, pork ribs are the queen with more power. If you get to Bludso’s too late in the day, chances are they will already be sold out. We personally ate them all. Some other places around town claim to be pulled pork champions, but Bludso’s is still worthy of a side order. The poor sausage always gets the sh*t end of the stick at any BBQ but we encourage you go for it. It’s got that perfect crunch and kick of heat right at the end. One of the more surprising revelations about this city is our obsession with mac and cheese. And who’s to blame us? It’s one of the world’s great foods. Add Bludso’s to the list of must-trys. Gooey, cheesy, homemade goodness. With the Rocky Mountains of meat sitting in front of you, you’re gonna need some carbs to change it up a bit, and their cornbread is everything you want. Sweet Lord in Mayonnaise Heaven. This is the good stuff right here. Don’t be ashamed to order two. Listen, you aren’t gonna be able to even see straight by the time desserts get brought up, but power through and get this Southern delicacy. You can nap after. If you’re in the neighborhood and looking for a stiff drink and a killer al pastor taco, stop into Petty Cash. One of the only barbecue spots in Koreatown that still only uses coal, Soot Bull Jeep specializes in baby back ribs that are sweet and tender. Roscoe’s Chicken and Waffles has 100% earned its fame. Your stomach, wallet, and friends will all thank you.